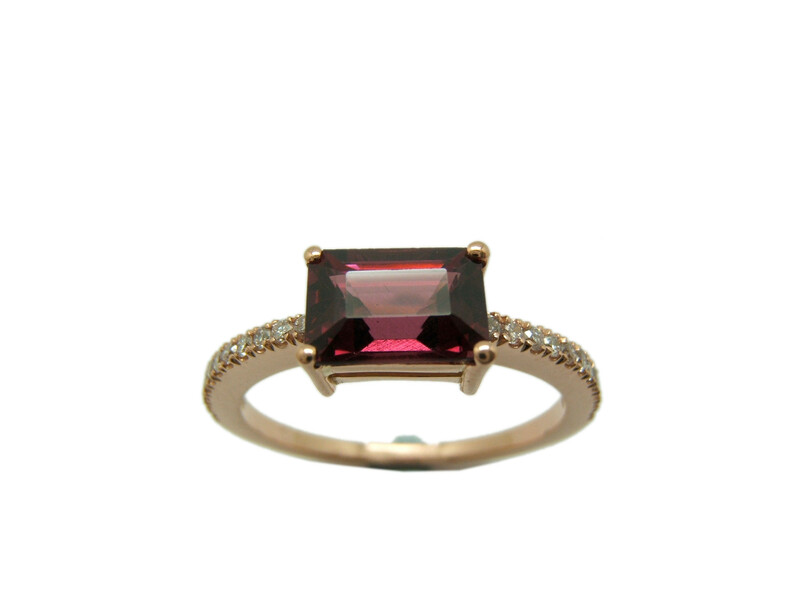 Ring made in pink Gold with a "Rhodolite Garnet" rectangular cut in the center and diamonds on the sides up to the middle arm. Weight of ring: 2.35 grams of gold. Weight and measures of the Rhodolite: or 1.46 carats and 7 X 5 mm. Weight of diamonds: 22 stone of 0.16 ct total weight. Measure of the ring: 15 Tatum. However, this ring can be set to the extent that the customer requires. This ring has been designed and made by Jewellers "Master Craftsmen".